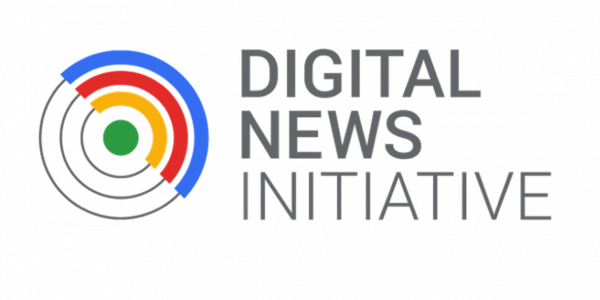 12 UK news projects are to benefit from a total of 3million euros in funding from Google Digital News Initiative, it was announced this morning. The sixth and final round of the Digital News Initiative has granted millions towards news projects which applicants hope will help create a more sustainable future for news. 103 projects in 23 countries are being supported, with a total of 25million Euros offered. 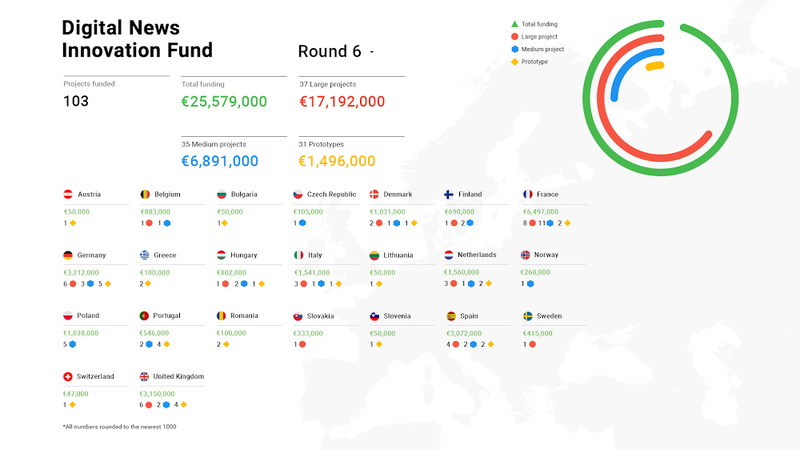 Through the six rounds, Google has supported 662 projects. Up to 1million Euros was available for ‘large’ schemes, 300,000 Euros for ‘medium’ schemes and 50,000 Euros for ‘prototype’ schemes. Large and medium schemes had to demonstrate how projects would drive new revenue opportunities. Among the winners is an audio project called Laudable, which is a partnership between JPIMedia, Reach and podcast firm Entale. It will help create dozens of new audio projects in newsrooms of all sizes around the country. Archant had secured funding for The Story Of, a project which aims to make its photographic archive accessible to the public, while Newsquest has won funding for Loquial, which it describes as being a service which enables members of the community to get content into papers and websites without journalistic intervention. A statement from the company said: “Communities rely on their local news brands to do what they’ve always done best — professional, investigative, insightful reporting as well as representing broad community content. But these are challenging times for local news brands who can’t provide the level of journalistic resource they once did. All of the above were winners in the ‘large’ category, along with Tortoise, the ‘slow news’ project run by former BBC director of news James Harding, and Nature magazine. There were regional winners in the medium category, which pitches for smaller grants. Mediaforce, which represents a number of local news publishers with national advertisers, has secured funding for LocalEyes, an app which enables small and medium enterprises to target local customers through digital display advertising. Funding has also been secured for Crunch, an AI-driven toolkit for instant analysis and visualisation of data. Kiln also wants to work with publishers to see if data visualisation can be monetised. In the prototype category, which funds projects at concept stage, the University of Sunderland has secured money to develop an app which will help journalists investigate social media abuse and hate speech. The university said: “Masses of hate speech, threats and abuse are published on social media everyday — posing one of the major social problems of our generation. Journalists need to report this — telling stories, analysing and challenging policy makers. But the issue is complex due to the huge volume and fast-moving nature of content. Another prototype project called Kaleida will help to make news feel more relevant and useful on voice assistant devices, while Solent News Agency has won money for Sleuth which will help make court lists more accessible. A project to make it possible for publishers to use machine learning to harness public reviews of products is also being funded.